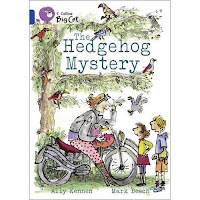 Anyway on Thursday I will not be singing or dancing to 'Progressive Trance' or whatever it was called but reading from my book 'The Hedgehog Mystery' which was written for the fantastic school reading series, Collins Big Cat, and answering questions. Go read! Go buy/borrow a book! Dress up as your fav fictional character. Why not? Here at Kennen Towers am agonising over the title for my new book... which is only half way through the 1st draft. My first drafts are always like having lots of small energetic pixies running howling in all directions. I have a firm suggestion for a title which is fantastic, but it's like naming your children, full of GREAT RESPONSIBILITY and DREAD. What if your Algernon turns out to be more of a Dwayne? Your Jane more of a Chrystal? Watch this space. 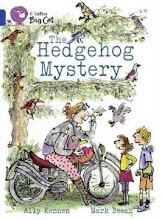 I may make a special WORLD BOOK DAY announcement as to the new title tomorrow. 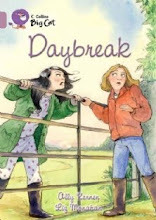 I'll be at Taunton Waterstone's for World Book Night, March 5th. 6-8pm along with eight other authors. There will be free books to the first people through the door (not sure what book) wine and book signing and selling and chat.